Lunch stop in Kangerdvitsiaq Fjord, East Greenland. Image copyright Olaf Malver. 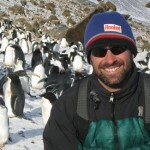 James Dziezynski is a hard-core adventurer and freelance writer from Boulder, Colorado, who had the good fortune to travel to Greenland with Olaf Malver, CEO (that’s Chief Exploratory Officer, of course) of Natural Habitat Expeditions, on a kayaking expedition last summer. 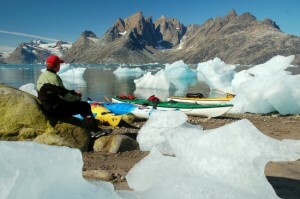 It’s no wonder East Greenland, so difficult to navigate, has remained off the well-sailed path. Yet it is a land of exceptional beauty and a small number of supremely hospitable, resilient people. 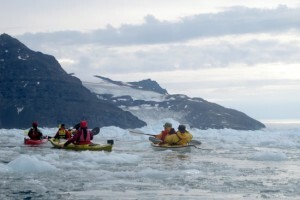 Read Dziezynski’s gorgeous first-hand account of his journey with Malver and their small group of Natural Habitat Expeditions paddling companions — the only way to experience East Greenland more vividly is to get there yourself! 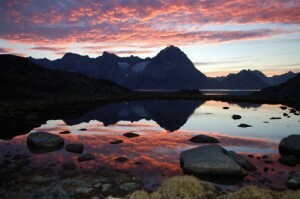 Midnight on Greenland’s Forbidden Coast. Image copyright: Olaf Malver.